2 Bedroom Flat For Sale in Salford for Asking Price £240,000. 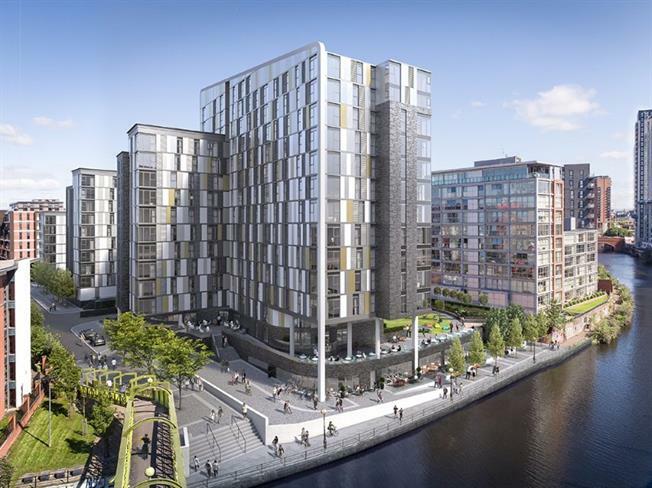 Downtown is Manchesters premier residence with a host of hotel-style services, including a concierge located within the lobby, an onsite gymnasium and spa, a media room for movies and rooftop terraces with outdoor chill out seating areas. For convenience Bridgfords offer the opportunity to buy this second floor two bedroom luxury apartment with double en-suites and a very high spec due for completion in Spring 2019.